“Learning first hand from parents about how isolated they felt, combined with the trauma they experienced, showed me the importance of supporting parents in an effort to promote positive brain development and healthy growth in our most vulnerable, and youngest children." Seth Saeugling is a Dean’s List Honors graduate of the University of Minnesota, where he received his Bachelor’s Degree in Sustainability Studies and Business Management. While studying at the University of Minnesota, Seth was part of the Entrepreneurship Club, which is where he first became interested with social enterprise based solutions to education issues. He co-founded the nonprofit Youth Music Education Foundation, which provides need-based scholarships for students of diverse backgrounds, as well as grants to support music education programs in nearby schools. “We wanted to learn by doing, which is why we were drawn to start the nonprofit,” he explained. He has gone on to work as a High School Special Education Teacher for various schools on both coasts. “I saw from my own high school and family experience that the school system was broken in a lot of ways, and was leaving a lot of students behind,” he said of his passion for teaching. As a Teach for America corp member, Seth taught special education at Warren County High School in North Carolina, where he created and implemented a blended learning literacy program and computer coding class. Similarly, at Leadership Public School in California, Seth taught special education and focused on establishing partnerships to benefit his students with local universities such as Stanford University. His teaching experiences on both sides of the country gave him the opportunity to gain a better understanding of the nation’s public school system as a whole. He left the classroom to focus on building early childhood education programs for vulnerable kids’ age 0-5 and their parents. He went on to work with the T Lab, where he used human-centered design to learn the needs of vulnerable parents, which he then used to build a community doula program. This experience kick started his interest with trauma-related education disparities, which is why when he returned to North Carolina, he continued this work with the Jamie Kirk Hahn Foundation. 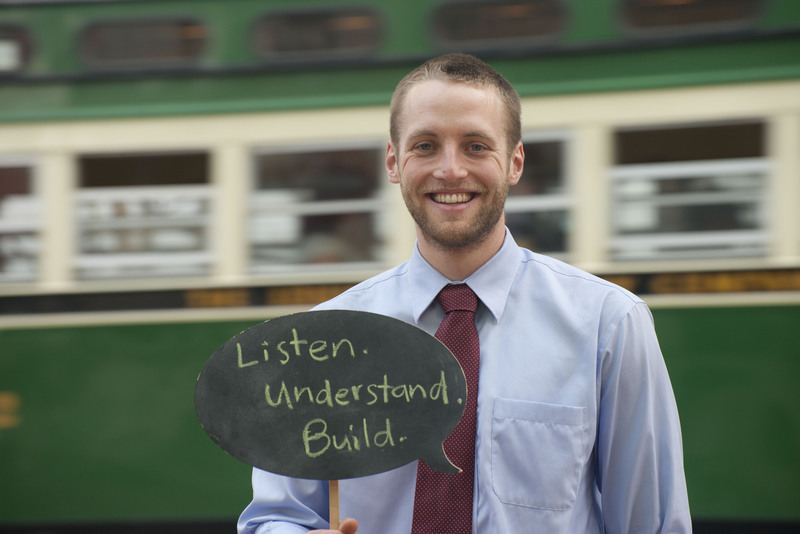 As part of their fellowship program, Seth was able to combine his two passions: early childhood education and driving investment to rural communities. While in North Carolina, he created and published various case studies, and created an investment strategy for a $20 million donation that had to be used in the rural communities that Seth taught in. “It was very meaningful to be able to go back to community leaders and parents, and have their ideas and experiences inform how this gift could best be used in our community,” he said. This past winter, Seth has worked for the Institute for Child Success, who is focused on promoting the best policies in early childhood education, with a special focus towards rural America. Through this work, Seth worked for Roca, Inc to help them build out programming for high-risk young mothers and their young children. He also helped them improve their risk assessment and evaluation tools. Roca, which has been supported by New Profit in the past, serves high-risk males, and recently young mothers, who were the same population in which Seth spent much of his early teaching career supporting. “Roca’s model, their intense commitment to tracking data and using this data to inform how they can constantly get better at serving their moms, is amazing. I haven’t seen another organization in the country deliver the results they do for at-risk moms and their children. I’d love to bring these lessons back to the communities where I taught, in North Carolina,” he said. Currently, Seth is working with his close friend Vichi Jagannathan to build a new organization that combines their past experiences. They’ve seen how the vast majority of evidence-based two-generation early childhood programs do not work when applied to the rural communities they used to teach in. “We hope to replicate what I learned at T Lab, to build a process that works with community members to identify bright spots, to build new programs and partnerships that will improve early childhood outcomes for our most vulnerable kids,” he said. They hope to create a replicable process that can one day be used across rural America. scaling quality two-generation programs that breaks the cycle of trauma and poverty,” he added. Watch Seth's submission video here!